The F6 now includes a real-time spectrum analyzer as part of the latest update. Screen Resolution: Minimum: 1024x768 (Recommended: 1280x1024 / 1600x1024). USB displays are not supported as the primary display. 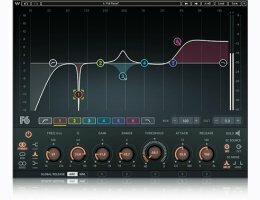 You may download a demo version of the F6 Floating-band Dynamic EQ here!